Great BLACK FRIDAY specials here! Woohoo, my brand new Facebook course is here, plus check out these excellent deals from my favorite video apps and tool companies. All you need is here! I negotiated great deals especially for Mari’s peeps. Enjoy! Brand new LIVE online training course from yours truly! Get the support you need to maximize video + ads on Facebook. Save $500. Fabulous video creation tool, allows you to simulataneoulsy create SIX different versions of the same video (e.g. landscape, square, Instagram Story and more), plus comes with access to 2.5 million photo and video royalty free assets Great for agencies! Save 70% off their pro annual plan with code WPA_Mari_70 or save 30% off the Agency annual plan with code WBA_Mari_A30. Awesome video creation tool with beautiful templates and storyboards, ready for you to simply drop in your own assets or use royalty free assets. Easily create square video for best performance on Facebook and Instagram. Save between $66-102 on an Annual Professional plan or Annual Business plan. Enter code 25CYBERMARI. Code works for monthly subscription discounts, too! (New subscribers only, not renewals). My favorite mobile video gear! 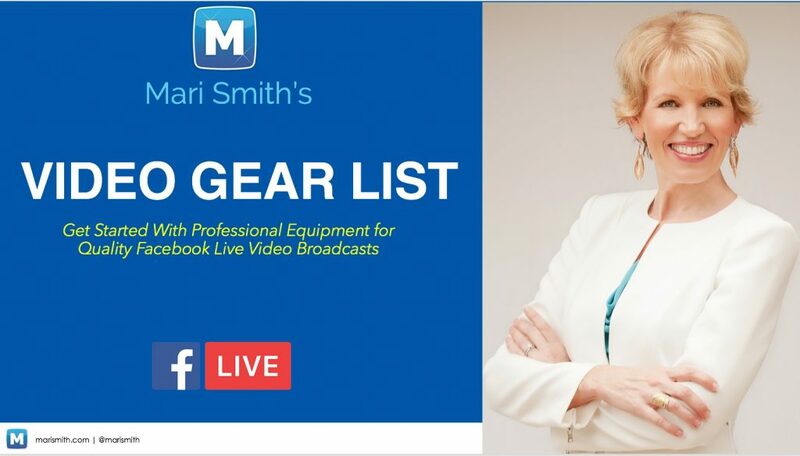 Check out this “door buster” special from my good friend, Dave Basulto, founder of iOgrapher: get a Mari Smith Live Video Kit for only $99. Crazy good deal. Facebook is on a mission to attract more VIDEO creators! The new Facebook Creator app is a “one stop shop” for creators of all kinds, to help take your passions to the next level. Easily create original video, go live with your own custom intro & outro video, give your fans custom frames and sticker, and connect with your community. Get results with video on Facebook… fast! Facebook is heavily focusing on a VIDEO FIRST strategy and has been for the past couple years. VIDEO content gets the best reach & engagement on Facebook. Video gets 1200% more shares than text & photos combined! But, most businesses struggle to optimize VIDEO in their content marketing efforts. I’ve created a brand new training program designed to help you quickly grow your reach, results and revenue using video on Facebook! The Facebook Creators app is a rebrand and updated version of the Facebook Mentions app launched in 2014 that was originally only available to verified public figures and Pages. Now the app is open to everyone. The Creator app is intended to woo influencers and content creators which could be a challenge for YouTube! An example of AI (Artificial Intelligence) in action is the likes of Amazon recommending products for you that are similar in size, shape or brand to the products you’ve searched for or purchased. We also now have machine learning technologies that can recognize voices and faces. Think about this: if AI is already influencing our buying decisions without us knowing it, what does it have in store for marketing in the future? Hmm, food for thought. Excellent article. Advertising on Facebook (and Instagram) is a huge headache for many people. In fact, many businesses struggle to properly optimize all that Facebook offers. Check out the great tips here on improving your Facebook ad performance, including video ads. 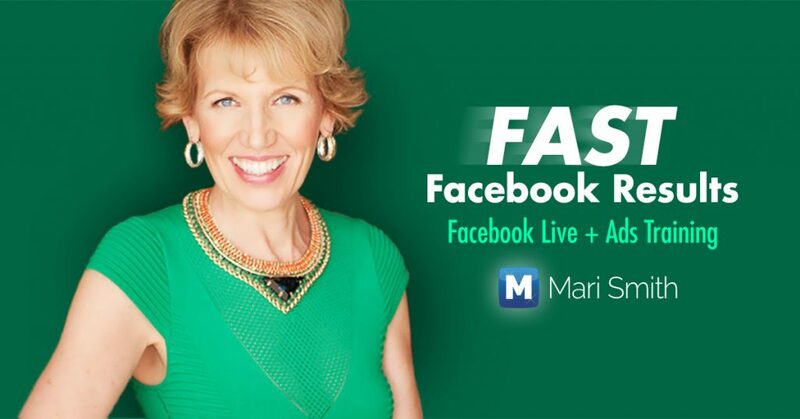 Plus, get the help you need to really maximize your video and ad performance with my new online course, FAST Facebook Results! That’s all for this week’s issue of The Social Scoop. I hope you have a fabulous weekend! P.S. Did you download my VIDEO GEAR LIST yet? If you haven’t already, go get this fabulous free resource designed to help you get started with professional equipment for quality Facebook Live video broadcasts! The 28-page PDF is divided into 3 sections: Lighting, Microphones and Cameras. I know you’ll find it super valuable.